Share the fun of learning to ski or snowboard in group lessons for children at your level. 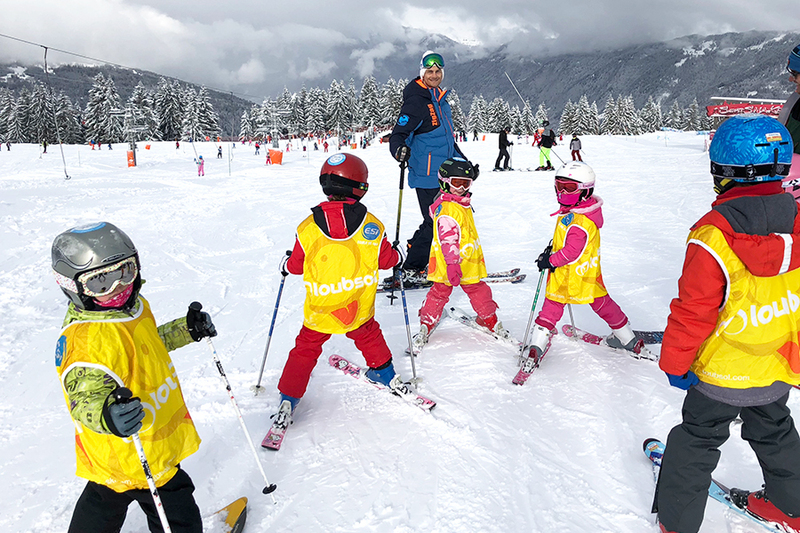 Led by English speaking instructors, ZigZag’s children’s ski lessons run with just 4 to 8 students per class in order to enable each child the chance to receive individual attention while enjoying the camaraderie of a group atmosphere. Forget long snakes trailing behind the instructor – we don’t compromise on quality and insist on genuine technical correction and encouragement. **ZigZag instructors have lift queue priority, so your children can jump the queue during their lesson time! For beginners aged 4 and 5 years of age, we offer Mini Mouse group lessons with reduced group sizes ideal for younger novices. Children from 3 years of age can take part in our exclusive Tiny Tots private lessons. If your child has skied before, please select their current level of ability from our list. Then, either use our online booking system, or contact us by email with the child’s name and date of birth. Get in early for peak holiday weeks, as our small groups do fill up quickly! You’ll find advice for parents on our practical advice page. Our prices include a medal of achievement for each child. Select the product of your choice below to view availability and to book via our automated reservation system. If the dates or availability shown here don’t suit you (or if you’ve simply got questions), please feel free to contact our office to make a booking by email or telephone.